In which we learn that spirits are very excited about spelling. 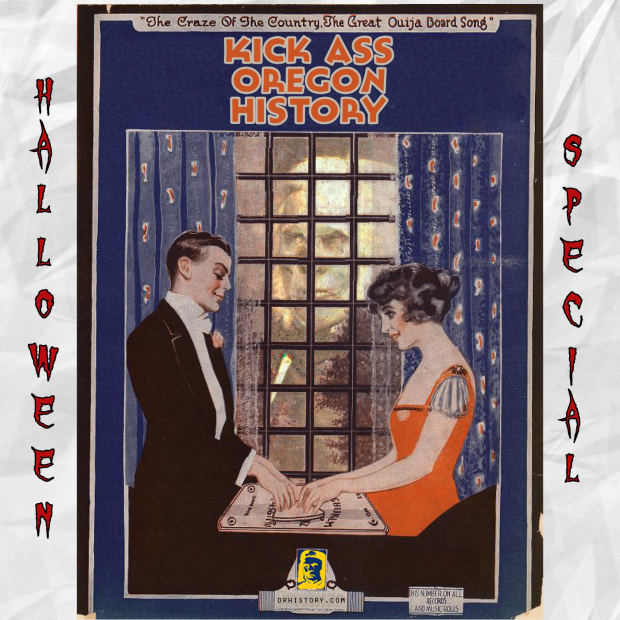 Thanks to Guardian Games and Oregon Paranormal. And to John for helping with the seance! This article from Reed provides some great background on A. E. Doyle. And this podcast on the History of the Ouija Board (with Robert Murch!) by Oregon Paranormal Radio is a GREAT resource for anyone who wants to dig deeper into the background of the board. We decided to leave Houdini’s misogynistic comments in the quote that appeared in The Oregonian.